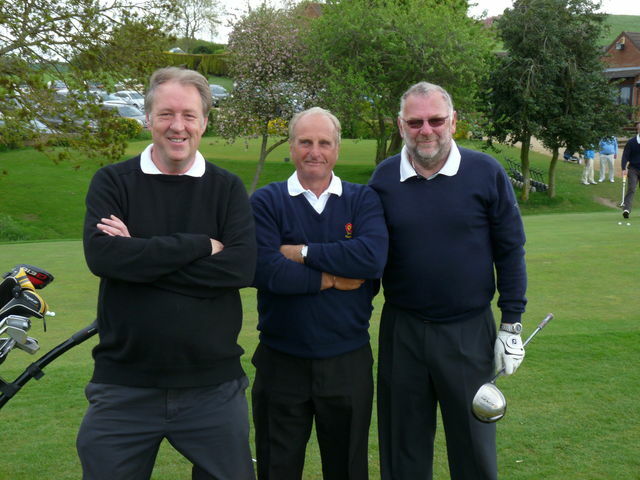 The County Seniors team started out on the season long journey to defend their Anglian League and Midland League East titles won in 2014. On a windy and difficult day the Seniors recorded a 9 points to 6 point win in the Anglian league and a 12 point to 6 point win in the Midland League East. Home advantage was wiped out by the terrain at Cold Ashby, with both sides struggling to cope with the exacting conditions. The morning foursomes were very close, but the home team had 5 consecutive singles wins to seal the victory in the afternoon. A word of congratulations to Ian Smith of Peterborough Milton, making a winning debut for the County seniors and Howard May also of Peterborough Milton, back after a season long injury in 2014. The Seniors next fixture is Midland League match against a very strong Nottinghamshire team, to be played at Radcliffe on Trent G.C. A very satisfactory season opening win.